Our outstanding children and youth musical theater productions are what set us apart from the rest! What a treat to have Broadway's original "Beast", Terrence Mann, drop by to work with these young ladies! Do you ever wonder what it's like to be in a Broadway show? Let us show you by enrolling in Triple Threats Musical Theater! A combination of movement, acting and singing, this class includes learning and exploring acting scenes, songs, and dance combinations from your favorite Broadway Shows! Students are also introduced to the world of technical theater through discussions about set design, costuming, lighting, stage make-up and much more! Students enrolled in the Triple Threats program will have the opportunity to perform in a full-out stage production in the spring. Some of our favorite past productions include: THE LION KING JR., ANNIE, THE MUSIC MAN, ONCE ON THIS ISLAND, SHREK THE MUSICAL, THE LITTLE MERMAID, WIZARD OF OZ, INTO THE WOODS, ALADDIN and many more. This select performing company provides talented young men and young ladies between the ages of 8-18 the opportunity to work together in a “team” environment as they challenge themselves in the three critical components of musical theater: Voice, dance and acting. The company members will study and perform all styles of musical theater on a more advanced and in-depth level. They will perform repertoire from current and classic Broadway shows, learn a bit of musical theater history and study the careers and styles of legendary Broadway directors and choreographers such as Michael Kidd, Jerome Robbins, Stephen Schwartz, and Bob Fosse. 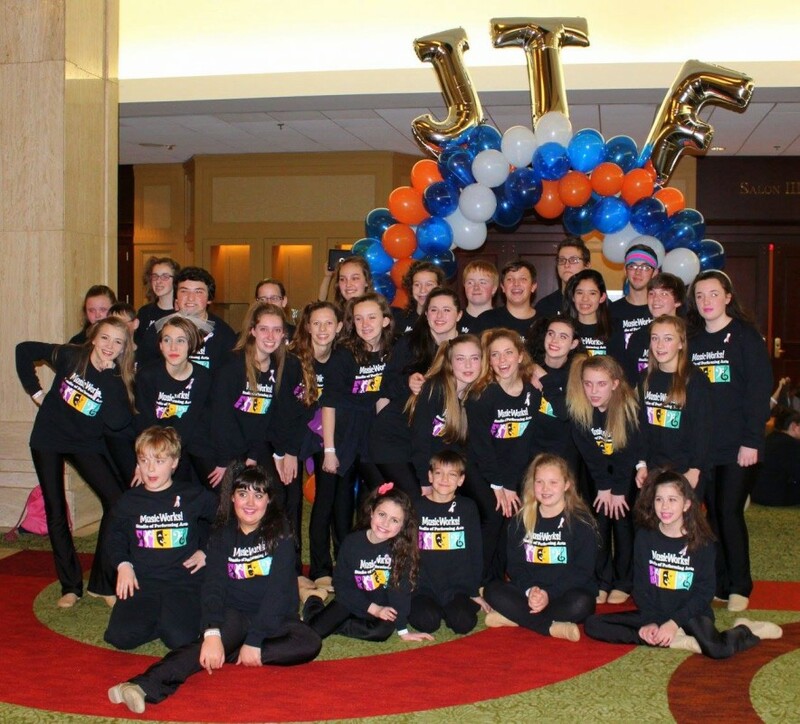 Members of the JTFPE will travel to Atlanta in January of 2018 to participate in the Junior Musical Theater Festival sponsored by iTheatrics, Music Theater International, and Disney Musicals. The group will also perform at local and regional events and will be encouraged to attend master classes and conventions. Members are required to purchase a performance costume; his/her own footwear, tights (ladies), and a MW jacket. Regular attendance is mandatory and too many missed classes will result in the student being asked to withdraw from the group.